Two types of gas fired heating are available in the leisure market. Hydronic and airtronic are the simplest ways of distinguishing between the two. Simply put, hydronic systems circulate a “wet” coolant around a system and are most like domestic heating installations. Airtronic systems blow air through large bore flexible piping which exits through vents cut into the woodwork. 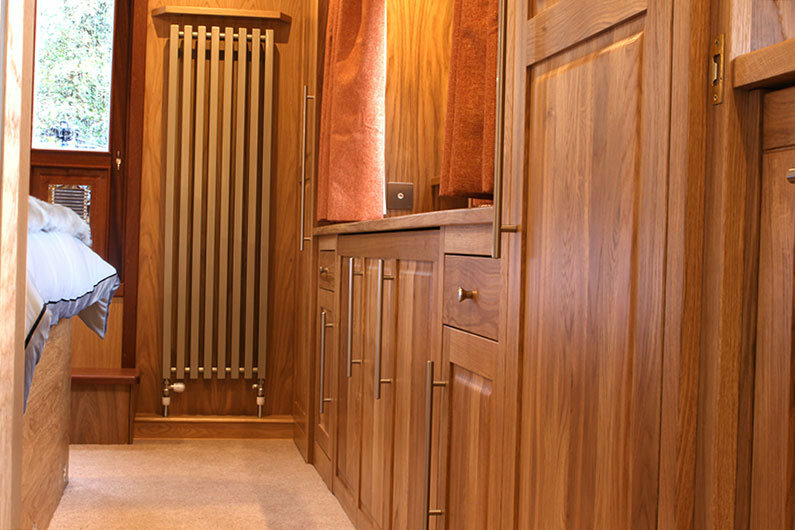 Gas fired airtronic systems are more commonly found in motorhomes and caravans. Not recommended for narrowboats, these systems are not room sealed, requiring specialist flues, and are relatively expensive to run. 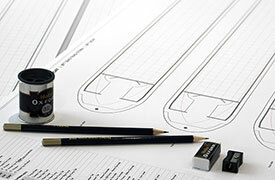 Therefore, here we will deal only with hydronic systems. Gas Fired Heating… How It Works? In a hydronic heating system, there are three major components: the boiler/burner, the distribution system, and the control system. The gas burner heats a mixture of water and antifreeze, the circulation pump pushes the water through pipework around the boat. Water to air heat exchangers with small low current fans can be installed in the distribution hoses or conventional radiators can be plumbed in. The water/antifreeze solution returns to the boiler, is reheated, and the cycle runs continuously until the control system is satisfied, and the system shuts down until the control system again calls for heat. As these systems are also used in caravans and motorhomes, they tend to have an integral water tank of around 10l. Despite narrowboats usually having larger hot water storage in the form of a 50l-plus calorifier, this tank can be still be utilised in the system. By placing the integral tank in-line between the hot water outlet of the calorifier and the hot water system, you would have a small amount of hot water to use whilst the calorifier heats up. 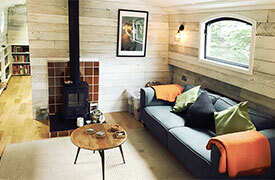 Your choice of narrowboat heating is a major expense so it makes sense to install a system that uses proven technology. Our inland waterways present a harsh environment with extreme variations in temperature and humidity. Speak with your local chandlery, canal boat builder, BSS examiner and registered Gas Safe engineer to determine which system is best for your particular circumstances. Ensure adequate ventilation to combat the build up of condensation. Modern boilers are room sealed so should not present problems regarding ventilation for the BSS however flue length and type is critical for a safe installation and will be inspected closely. Consider the advantages and disadvantages of a radiator based system over one that uses fan assisted heat exchangers. Consider a combined system that can provide localised heat when and where you need it. A gas-bubble leak tester installed in the gas locker is a quick and easy way of detecting any pressure drop in the system and will draw approval from your BSS examiner. It almost goes without saying that you should ALWAYS refer to the manufacturers instructions and whilst these systems should not present any major installation challenges for a competent DIY’er, any gas connections should be certified by a GAS SAFE qualified examiner or engineer. Gas Fired Heating… Keeping It Running! 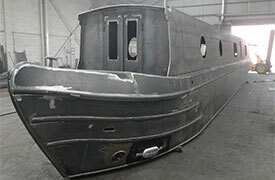 As with any boiler burner, a narrowboat installation will need regular maintenance. 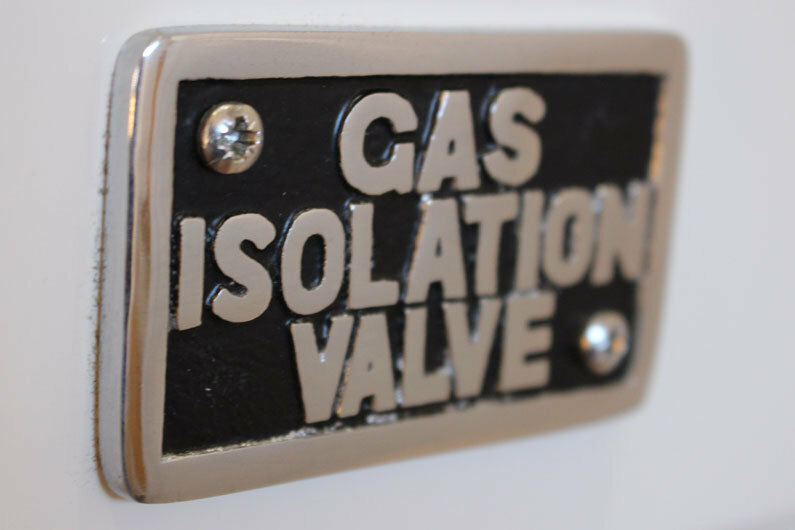 Consider a regular annual service and discuss this with your GAS SAFE engineer. Ethylene glycol antifreeze has a shelf life, with the higher spec. products offering up to 2 years protection. Check your warranty and ensure fluids are changed before the protection expires. Do not mix antifreeze containing silicates with antifreeze containing non-silicated OAT. Always refer to the manufacturers specifications. As part of your service plan all flue pipes and connections should be inspected don’t rely just on a annual inspection. Regularly check flues, flexible pipe connections and the mountings of the boiler and associated controls. Most travelling narrow boats have a hard life and a seemingly innocuous collision with a lock gate can dislodge or crack vital components. Gas Fired Heating… Hints, Tips & Information! There are two types of Liquified Petroleum Gas, LPG, available for use on narrowboats. Butane is supplied in blue bottles, propane in red or orange. Propane is the more commonly used due to its better cold weather performance. The boiling point of butane is 0’c and therefore at or below freezing, the butane stays in its liquid state. This means that as there is no pressure difference at these temperatures the butane will stay in the gas cylinder, rather than flow to the appliance. Butane burns hotter and is more efficient but propane regulators release more gas to compensate. Many boaters happily use butane but for ease of use and availability, propane is the obvious choice. The gas is delivered from the storage bottles or canisters under pressure through a regulator. It is vital you use the correct regulator for the gas you use. Regulators for the two gases are not interchangeable so if you are unsure check with your GAS SAFE registered BSS examiner or local specialist. Always check the appliance for the manufacturers recommended delivery pressure and gas type. Do not assume that an appliance that runs on butane will also run on propane. Stainless Steel Coil in your Calorifier? It is fair to say that if this is your chosen method of heating, then there are not too many options re. the manufacturer. It is likely that the heat exchanger is aluminium and therefore DO NOT retro-fit this type of heater/boiler in a system that has existing copper pipe runs or a copper coiled calorifier. It is essential to use either plastic or stainless steel pipes and a calorifier with a stainless steel coil to avoid galvanic corrosion. These units with a small integral water tank will also have a small immersion heater which runs from 12vDC or 240AC. With no gas supply the immersion heater will happily heat the integral tank and a calorifier but would struggle to heat a radiator system. This is a consideration for those who liveaboard a narrowboat in a marina and wish to use shore power for heating rather than gas. Special finned convector radiators can be bought from most well equipped chandleries or on-line. 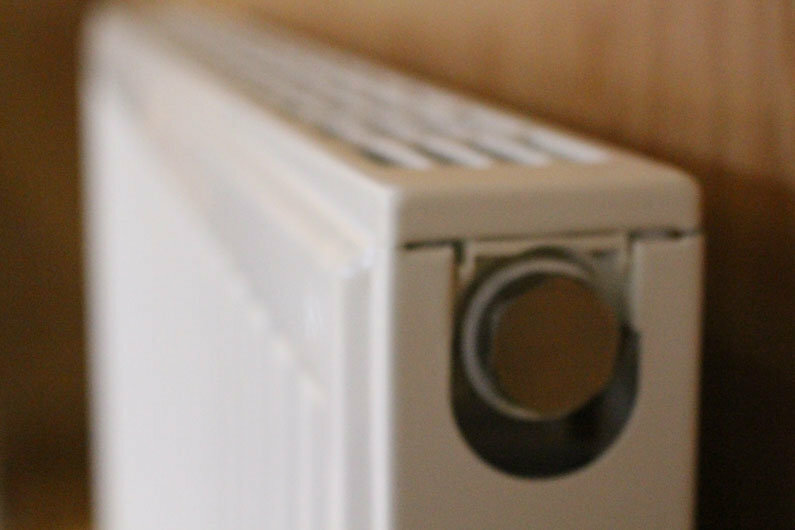 These compact items can be hidden beneath plinths, are easy to install but are limited in terms of heat output. If you opt for these instead of conventional radiators buy the type that do not contain copper, for the reasons stated above. Poor combustion, as with any fuel we commonly use on our narrow boats, will produce Carbon Monoxide. Carbon Monoxide kills so install optical detectors and review your fire extinguisher installation to ensure you have the correct type in case of emergencies.